I am so excited to announce that I’ve completed 33 various ink paintings for my book “VAPOR Vol.1”. 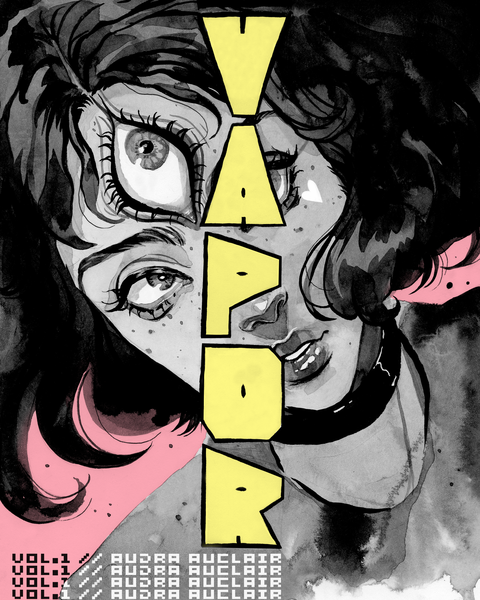 VAPOR Vol.1 is 40 pages and 8" x 10" in size. It is a compilation of ink paintings created by Audra Auclair for "Inktober 2018". Along with the paintings will be an occasional poem or blurb about the artwork. The inside pages are 100% greyscale. There are a LIMITED number printed so be sure to snag one before they are sold out for good. ATTN: If you are reading this in early January the shop will be closed for holidays, please check back for updates!